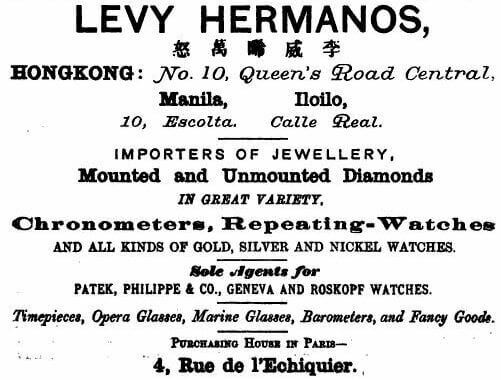 Travis Ling: The Philippines watchmaker Levy Hermanos had a HK branch in Queen’s Road, Central at the end of the 19th and start of the 20th centuries. Armand Levy was the manager of the Hong Kong branch, and E. Levy, J. Weill and Albert Weill were watchmakers. Armand Levy resided at 61 Wyndham Street and Albert Weill at Stillingflete, 4 Peak Road. 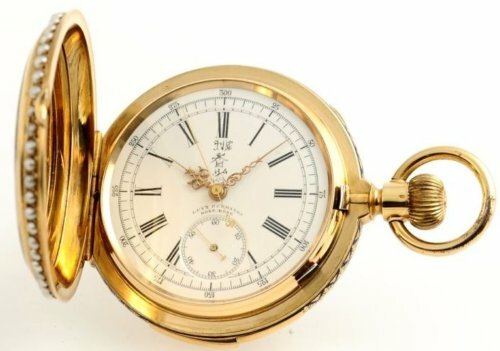 The watch below was actually made by Maurice Ditisheim (1831-1899) a Swiss watchmaker but sold in Hong Kong apparently with a eye for the Chinese market. 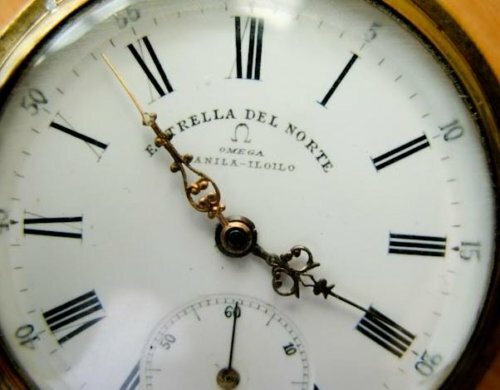 La Estrella del Norte Lou Gopal’s blog Manila Nostalgia, “Pictures and stories of the Manila we remember”.